If you are living in Pittsburgh, you should be aware of the fact that the city has a huge amount of walking commuters, ranking 3rd in the whole country. With so many pedestrians, the chances of getting involved in a car accident are extremely high. Every day, there are dozens of accidents involving pedestrians and bicyclists. If you are one of those walking commuters, or one of those who prefer to ride a bicycle instead of taking the car, here is why you should be careful around the city and the main reasons why Pittsburgh’s roads are so dangerous for pedestrians and bicyclists. At almost every point during work hours, you can see hundreds of pedestrians on the streets. Everywhere you look, there are crowds of unfamiliar faces. This just shows that the amount of people walking around is insanely high. And when the crowd gets too big, there is always a chance that someone will get hit by a car. In case you do end up being the unlucky one, you should consult with a Pittsburgh Pedestrian Accident Attorney immediately and schedule your consultation. An attorney will do everything they can to help you receive the compensation you deserve in a timely manner. Do not hesitate to give us a call. According to the statistics, every 34 hours a pedestrian is hit and injured in Pittsburgh. About 7 percent of all crashes involve a walking pedestrian. At the same time, every 6 days one bicyclist is hit, and about 2 percent of all crashes involve people on bicycles. Walking pedestrians accounted for 26 percent of all traffic fatalities from 2010 to 2015. This means that one in four fatalities involves a walking pedestrian. 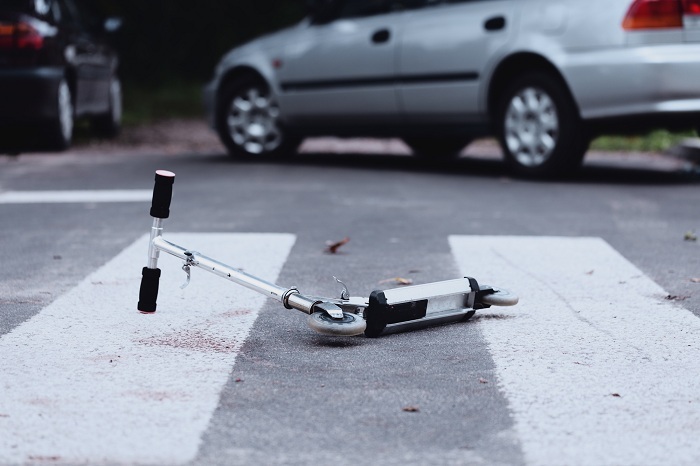 When it comes to injuries, walking pedestrians and bicyclist are accounted for 28 percent of all major injuries suffered from vehicle accidents, with car accidents being the most common ones. In 23 percent of all pedestrian accident, there was aggressive driving involved. On the other hand, aggressive driving was responsible for causing 33 percent of all bicycle accidents. The verdict is simple – there are way too many aggressive drivers in Pittsburgh, and whether you are a pedestrian or a bicyclist, you have to be extremely careful when traveling or walking through the city. Be aware of the big intersections, and cross the street only on the crosswalks. Watch the traffic light changes, and even when you have the green light, pay attention to your left and right side, as there may always be a distracted driver coming at you. If you get involved (and the chances are that you will) in an accident, your best option is to speak with Pedestrian Accident Attorney in Pittsburgh. An attorney will help evaluate your case and help you obtain the compensation that you seek and deserve. Feel free to get in touch with us right after your accident so that we can start working on your case as quickly as possible.